More children are benefitting from Safe Kids Worldwide's 'Walk this Way' programme, which is supported by FedEx in part through a donation to the Road Safety Fund. 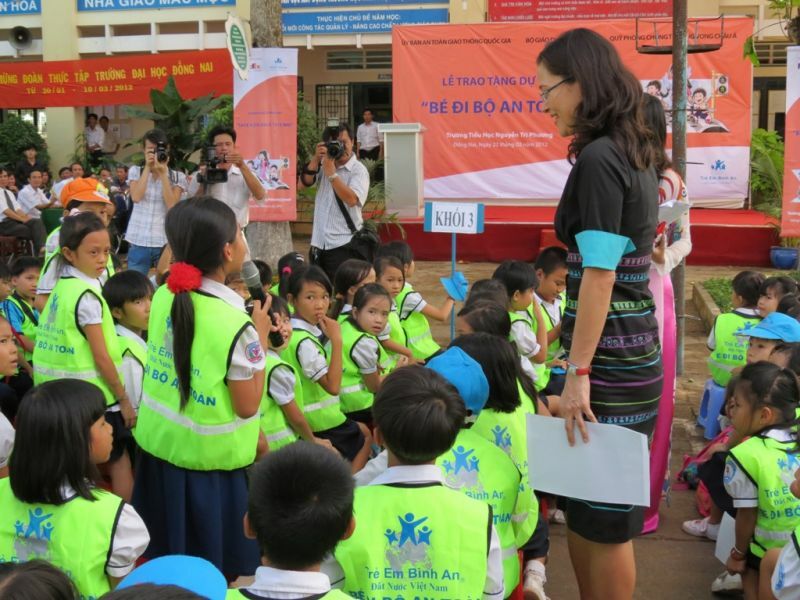 The latest school to be included in the scheme is Nguyen Tri Phuong primary school, one of 32 participating schools in Trang Bom District, Dong Nai province. The scheme, managed in Vietnam by SKW's national partner AIP Foundation, includes safety training workshops for staff, reflective vests for children and infrastructure improvements around schools to improve pedestrian safety. See here for more.